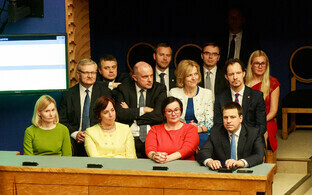 Kaja Kallas, Reform Party leader, has promised to bring a coalition government to the Riigikogu on Monday, 15 April. Ms Kallas was appointed prime ministerial candidate by President Kersti Kaljulaid on Friday morning, a day after the opening of the XIV Riigikogu and following over three weeks of negotiations between three other parties, Centre, the Conservative People's Party of Estonia (EKRE) and Isamaa. Speaking on ERR radio broadcast Uudis+, Ms Kallas said that: ''Although under the terms of the constitution, I have 14-days in which to form a coalition, I don't intend to use all of that time. I will do this within a working week''. The general election took place on 3 March, with Reform emerging the largest party on 34 seats. However, it found itself locked out by the second largest party, Centre, who went off to negotiate with EKRE and Isamaa. The other party to be elected, SDE, also found itself out in the cold. However, the President had to wait until the convening of the Riigikogu, itself held up by procedures revolving around electoral complaints (the last of these were only resolved by the Supreme Court last week), to name the prime ministerial candidate. 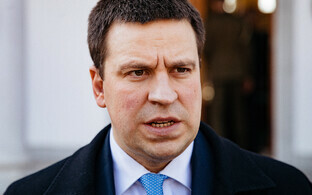 In the intervening time, Jüri Ratas led coalition talks, though no concrete agreement has been signed, to date. Ms Kallas has already met with SDE representatives, she says. SDE had offered to negotiate with Reform, which kept very quiet through much of the post-election/pre-parliamentary period, soon after the election. The two parties together would have 44 seats, still not enough for a Riigikogu majority, so would need one of two things, to get the requisite 51 seats, either a) get one other party on board, or b) attempt a minority government. In the first case, Reform has already ruled out EKRE (and EKRE and SDE have mutually ruled each other out). Isamaa, with 12 seats, would push the party over the 51-seat threshold. A Reform-Centre coalition would have 60 seats, but it remains to be seen how that could pan out given it would mean either MS Kallas or Mr Ratas could not be prime minister (and another choice role, president of the Riigikogu, has already gone, to EKRE's Henn Põlluaas). In the second case, Reform/SDE would need seven votes from those Centre and Isamaa MPs who opposed their own parties' union with EKRE. However, at this stage Ms Kallas has not said such a set-up is on the cards. "The meeting [with SDE] was very constructive, with great energy, and we talked about how we could move forward as soon as possible, about our concerns, put together a timetable, ways to obtain the information we need during the week and to take action to put together a positive alternative," Ms Kallas told ERR's Arp Müller. "We have not, however, produced a coalition agreement, because we do not have a majority at the Riigikogu with which to draft a purely governmental agreement. We are building the foundations of governance, though," she said. ''We are following what the constitution prescribers – principles of governance,'' she continued. As to the nature of what these principles may take, Ms Kallas said that the document is on a very values-based platform, given the values conflict in Estonian society at present. ''We can agree on the principles that our government would follow and which is now questioned - an open society, an open economy, the rule of law," she said. "Of course, we are also waiting for what should come from the currently negotiated coalition agreement," Ms Kallas added. The negotiation period between Centre, EKRE and Isamaa saw calls from EKRE deputy Martin Helme to remove journalists at public broadcaster ERR from the airwaves for displaying ''bias''. 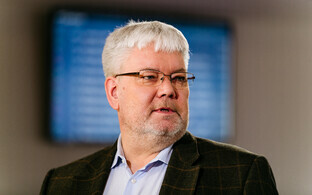 Mr Helme, who is EKRE's representative on the broadcasting supervisory council, did not name names, but Centre's representative, Marika Tuus-Laul, did, citing TV anchors Priit Kuusk and Johannes Tralla as displaying an aggressive interviewing technique with Centre MPs. A report by investigative weekly Eesti Ekspress revealed that another EKRE MP, Ruuben Kaalep, had a long history of involvement with far-right and neo-Nazi groups and figures, both online and in person. Ms Kallas also said that the coalition proposals would not have very specific promises or numerical estimates. "Certainly, we do not have time to calculate all the electoral promises over the course of a week, and put them in a letter. Plus it doesn't make sense. We're talking about the principles of governance that we need to agree amongst ourselves and on which the government could act,'' she said. We will formulate the principles in general and illustrate them with concrete examples," she noted, promising to frame in such a way that, for instance Isamaa might be included, if the need arose. "Of course, we're open to both [SDE and Isamaa], and we can't lock ourselves to either side," she said. She also went to lengths to stress that her party had won the most votes at the 3 March election. "We won the elections, and got the most support from the Estonian population. As recent studies have shown, most voters want to see the Reform Party in government, and over 70% of Estonian people do not want this current coalition [Centre/EKRE/Isamaa] that is being put together. They must also have a positive alternative. Disclaimers never win - this is our role," she continued. Kaja Kallas also rejected criticism that her actions were farcical, and a waste of time, as voiced by Martin Helme on Friday. "This task, handed to me by the head of state on the basis of the constitution, has been presented to me, and I have to fulfill it,'' she said. In fact, under the regulations, Ms Kallas as prime ministerial candidate has the right to use the prime minister's room at the Stenbock House, the seat of government and site of the recent Centre/EKRE/Isamaa talks, for her coalition negotiations. However, Reform and SDE have opted to use as the venue an adjacent building belonging to the State Chancellory, at Rahukohtu 1 on Toompea, she said. 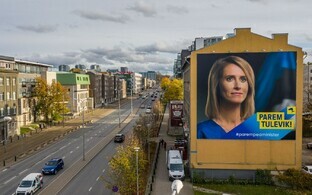 When asked about Raimond Kaljulaid's withdrawal from Centre on Friday, to sit as an independent at the Riigikogu and run in the European elections, Ms Kallas said the development revealed weaknesses within the Centre Party, adding that she did not believe Mr Kaljulaid would be successful at the European elections in May. ''This all demonstrates that the Centre Party has had to wrestle with quite a lot of people to agree to what is being created," she said, noting that the wranglings were also aimed to ensure ''the right people came to the Riigikogu and the right people remained in Tallinn''. Centre has long been the majority party on the Tallinn city council, with many representatives on the latter running for parliament. Since elected officials cannot sit both at the Riigikogu and in the city council, a degree of musical chairs has been required, including Taavi Aas stepping down as Mayor to take up a parliamentary seat. Ms Kallas noted a day of reckoning was due, as those who had to forgo their positions in order to help Jüri Ratas become prime minister, may now start to resent what they had been instructed to do. As for Mr Kaljulaid, Ms Kallas said that, whilst he may take votes away from SDE and Estonia 200 in the European elections, he had also already done so in the general election. ''It seems to me he has not been a very central figure at the Centre Party of late,'' she said. If Ms Kallas has her coalition lineup ready for 15 April as promised, it will then go to the Riigikogu for a vote without prior debating. If the vote passed, the coalition would become fact. If it did not, the President would have to select another prime ministerial candidate – next in line would be Jüri Ratas – and the procedure would be repeated. Reform too has its own backstory, of course. If it ended up in coalition with SDE and Isamaa, this would be the same combination as took office in 2015. However, that lineup came to an end in November 2016 when, following a vote on no-confidence in then-prime minister Taavi Rõivas, SDE and Isamaa promptly went over to make an agreement with Centre, forming the coalition that lasted until its dissolution on Thursday.